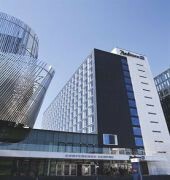 This Stockholm Waterfront Congress Centre hotel offers instant access to the meeting facilities, making it the ideal base for visiting delegates. 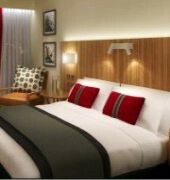 This first-class hotel connected to the Congress Centre also features Free high-speed, wireless Internet, all-day dining restaurant, exercise lounge and modern guest rooms designed by RPW Design. The Radisson Blu Waterfront Hotel boasts 414 stunning rooms and suites styled by RPW Design with furnishings that reflect modern comfort. Rising high above the city streets and adding to the stunning skyline, this Stockholm accommodation provides beautiful views over Riddarfjarden, Lake Malaren and the bustling city centre. Each of these Stockholm hotel rooms is equipped with premier amenities, such as coffee and tea provisions, flat-screen TV and Free high-speed, wireless Internet access.